Situated in a rural location, this residence is 0.1 mi (0.1 km) from Val di Merse and within 9 mi (15 km) of Museo della Mezzadria and Museum of Sacred Art in Val d’Arbia. Castello di Montepescini is 11.2 mi (18 km) away. 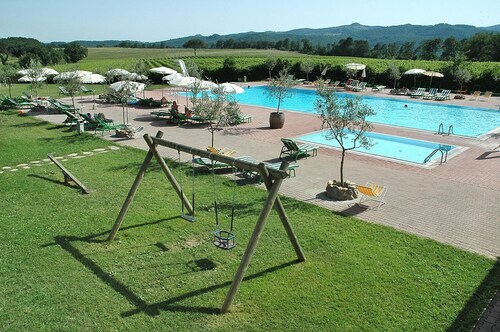 This family-friendly Murlo farm stay is located on the riverwalk, within 1 mi (2 km) of Val di Merse and Castello di Montepescini. Terme Petriolo and Museo della Mezzadria are also within 12 mi (20 km). How Much is a Hotel Room in Murlo? Hotels in Murlo start at $59 per night. Prices and availability subject to change. Additional terms may apply. 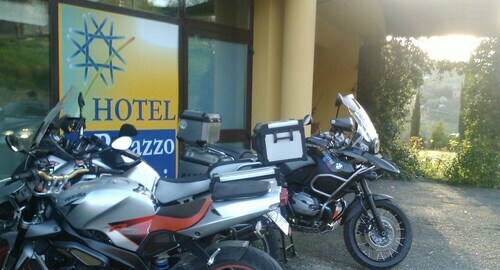 Inspired travelers will come across many hotel establishment choices in Murlo. Travelocity's guide offers 22 accommodation options within a 6-mile (10-kilometer) distance of Murlo's town center. 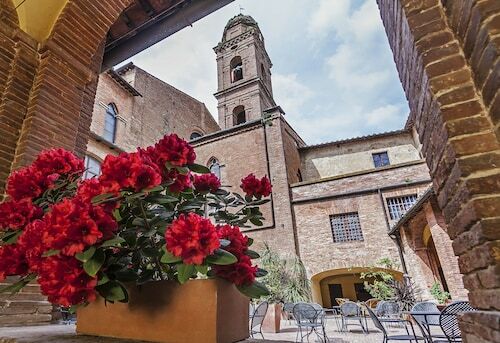 One of the best of only a small number of Travelocity-listed hotels within walking distance to the heart of Murlo, is the Hotel Easy Siena. 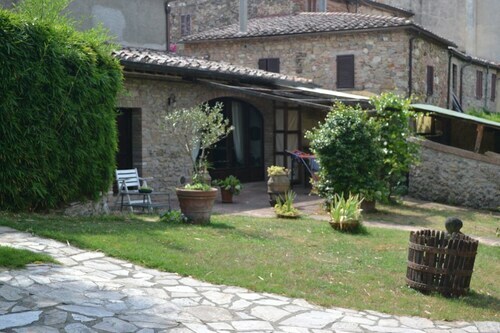 L'Albergo di Murlo is one of the few cheap and cheerful places to stay in Murlo. 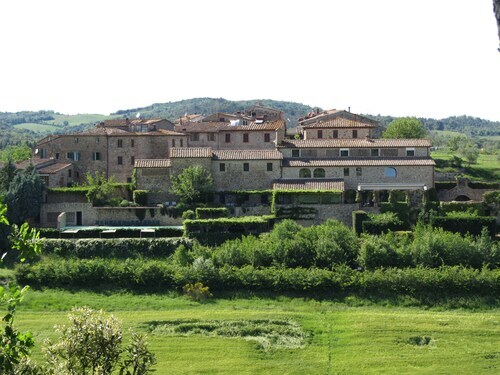 The Castello Banfi - Il Borgo is located 12 miles (19 kilometers) from the town center of Murlo. 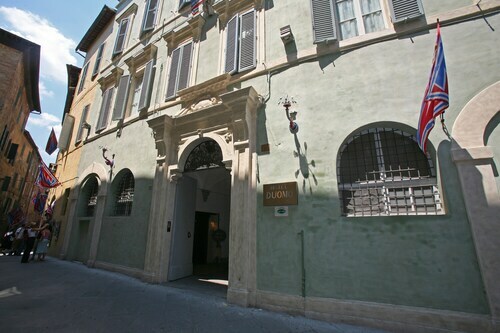 Also, the Relais Borgo Santo Pietro is located 11 miles (18 kilometers) away. Two more accommodation options here are the Rosewood Castiglion del Bosco as well as the Castello Di Vicarello. Planning to explore a bit further afield? Tuscany boasts a number of things to check out. If you love nature, be sure to explore Tuscany's rural landscapes and beaches. In addition you could visit some of its ruins and castles. Common activities in this region of Italy include snowboarding and skiing. Val d'Elsa is 20 miles (34 kilometers) northwest of Murlo and is home to Archeological and Collegiate Church Museum and Torre Rognosa. When you get to Val d'Elsa, check out the rooms at the Tenuta Di Mensanello and Torraccia di Chiusi. 16 miles (26 kilometers) to the southeast of Murlo, you'll find Val d'Orcia, which features the Adler Thermae Spa & Wellness Resort and Hotel Osteria Dell Orcia. While visiting Val d'Orcia, make sure you explore the Collegiate Church of San Quirico and Palazzo Chigi. If you think of sport as your life and like to watch thrilling games you and your traveling partner should get to Stadio Artemio Franchi, which is 45 miles (70 kilometers) to the north of Murlo. Sleep not far from the sporting action at the Four Seasons Hotel Firenze or the The St. Regis Florence. Situated 45 miles (73 kilometers) from Murlo's center is Peretola Airport. 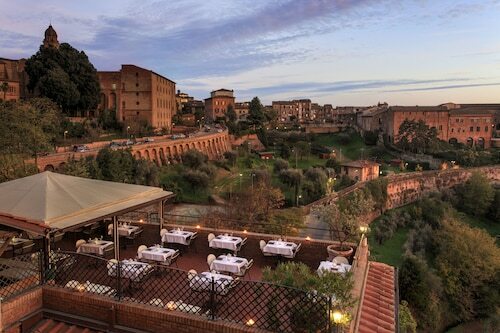 Find a room nearby at Torre di Bellosguardo or Sina Villa Medici. 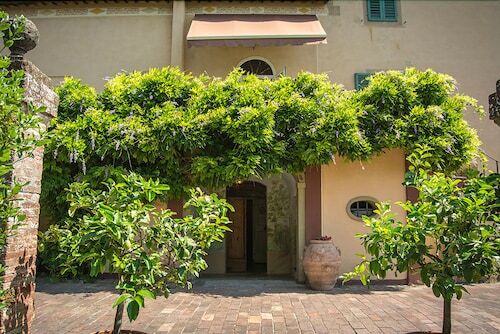 Villa Angelini 14+7 Sleeps, Villa With Private Pool at Exclusive Use!